A few months ago, I got an e-mail from Michael Clerizo, telling me that he had written a book called ‘Masters of Contemporary Watchmaking’. I hooked him up with Ernie Romers of WatchUseek to see if there was something possible with regards to the watch event WATCH2009 in Maastricht (on the 14th and 15th of November). Two weeks ago, I received the Masters of Contemporary Watchmaking book by Michael. The book contains coverage on a lot of brands, the so-called independent watchmaking brands so to speak. Michael spend a lot of time listening to George Daniels, Svend Andersen, Vincent Calabrese, Philippe Dufour, Antoine Preziuso, Franck Muller, Aniceto Jiminez Pita, Alain Silberstein, Marco Lang, Vianney Halter and Roger Smith. In addition, Michael introduces 20 other remarkable brands in his book, a.o. Christiaan van der Klaauw from the Netherlands and Stepan Sarpaneva from Finland. The book – printed by Thames & Hudson – is a fairly large (12×11.9×1.4inch) and heavy (almost 5.5 pounds) and features a very nice pocket watch movement by George Daniels. With over 672 illustrations, covering 11 watchmakers and 20 other brands, Michael Clerizo tried to be as complete as possible when working on this book. The 20 watch makers are very well covered by the author, each and everyone has its own chapter in Masters of Contemporary Watchmaking. A thorough introduction of the master watchmaker is followed by a nice overview of their work (see an example of George Daniel’s work above). The high quality images used are accompanied by detailed descriptions. 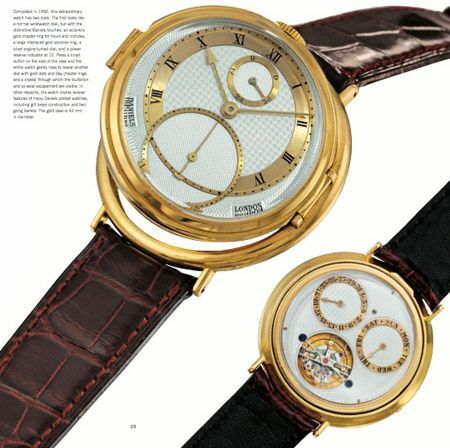 Clerizo did a very nice job on reflecting the thoughts of the watchmakers, without using too many quotes. 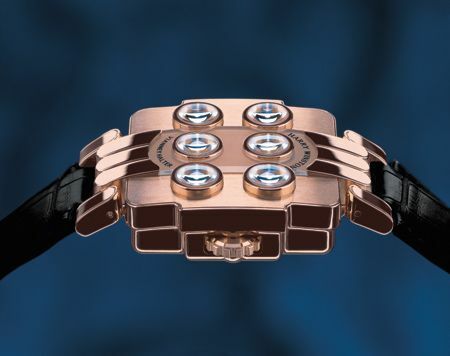 It really is Michael’s story, using the input of these great master watchmakers from our time. Besides containing photographs of timepieces and movements, the author was also able to include fantastic photographs of the master watchmakers and their workshops. It is very nice to actually see who’s behind these great names of watchmaking and where all the magic happens. To summarize, this coffee table sized book will not let you down if you are interested in watchmaking and getting to know some of the greatest heroes of 21st century watchmaking. For novice and advanced collectors or fans of watches, this book is suited for both of these groups. For 53.55 USD at Amazon (see link below), this book can be yours or that of your watch friend, fiance with passion for watches or whoever is interested in watchmaking. As written before, Michael Clerizo will be one of the lecturers during the Watch2009 event in Maastricht on the 14th and 15th of November 2009. If you are interested, please visit www.watch2009.nl. My thanks go out to Michael Clerizo and his publisher for introducing this superb book to me. 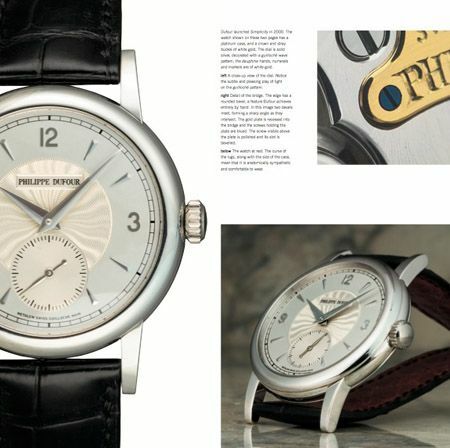 Also an extra thank you since FratelloWatches.com got included in the ‘Resources’-part of the book.